The kids no longer living with us, I get late into Christmas mode. No Adventskranz (traditional wreath with 4 candles lit for each Sunday before Christmas) on the table, no calendar window to open. Having to limit my output I’ll do two of the best: Mohnstollen (Poppy Seed Stollen) and Lebkuchen (German spice cookies). To find a perfect recipe for Mohnstollen wasn’t easy – there are so many of them. 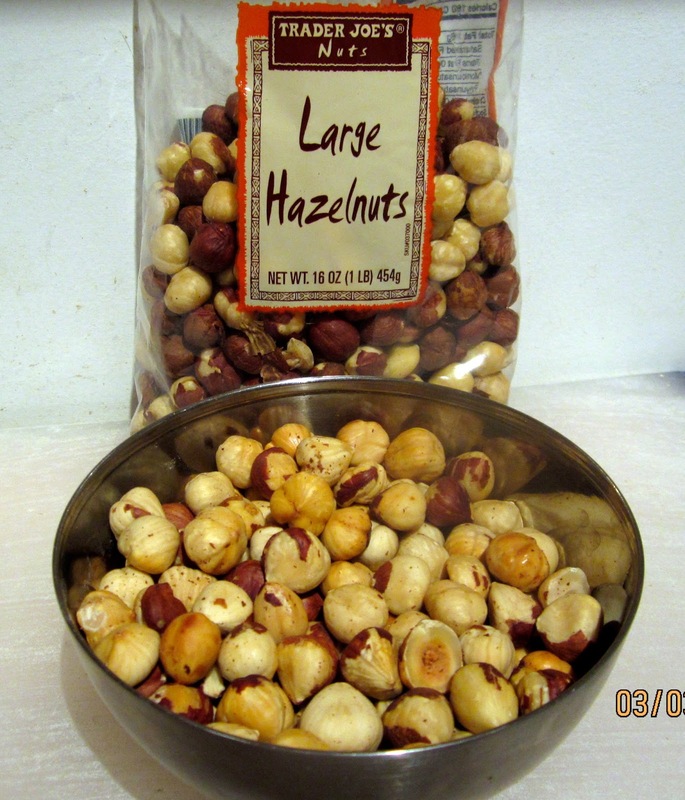 Finally I settled on one whose list of ingredients I liked best – it had hazelnuts! 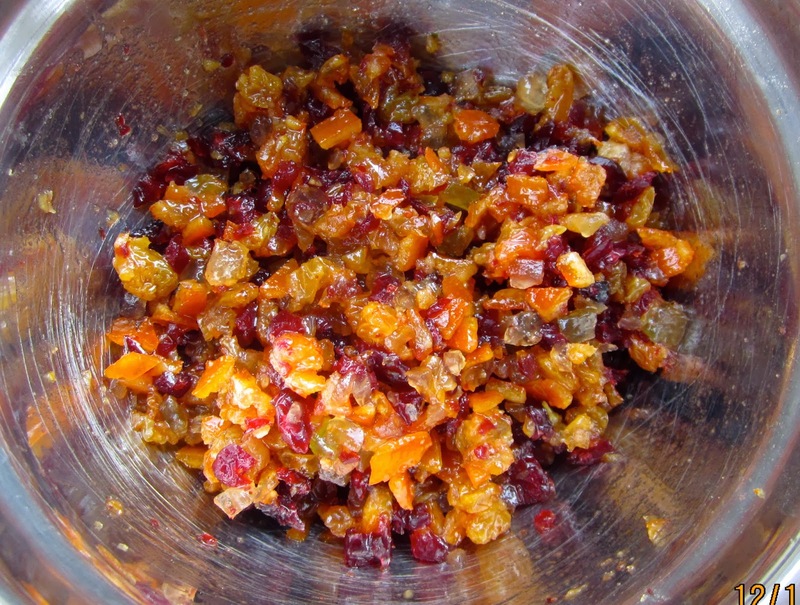 I would add an overnight fermentation, reduce the sugar, and exchange some of the white flour with whole wheat, and half of the raisins with cranberries for a little bit of tartness. So far so good! 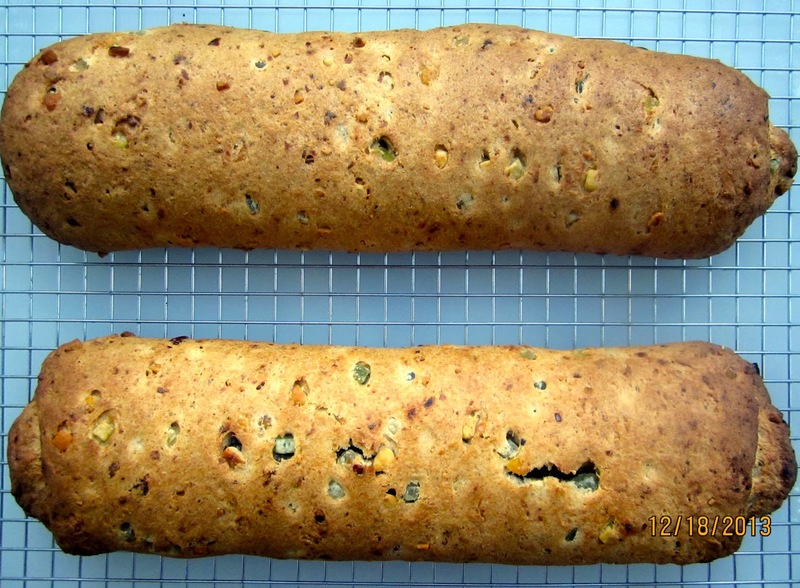 But what about the most important part of the Stollen: the poppy seed filling? 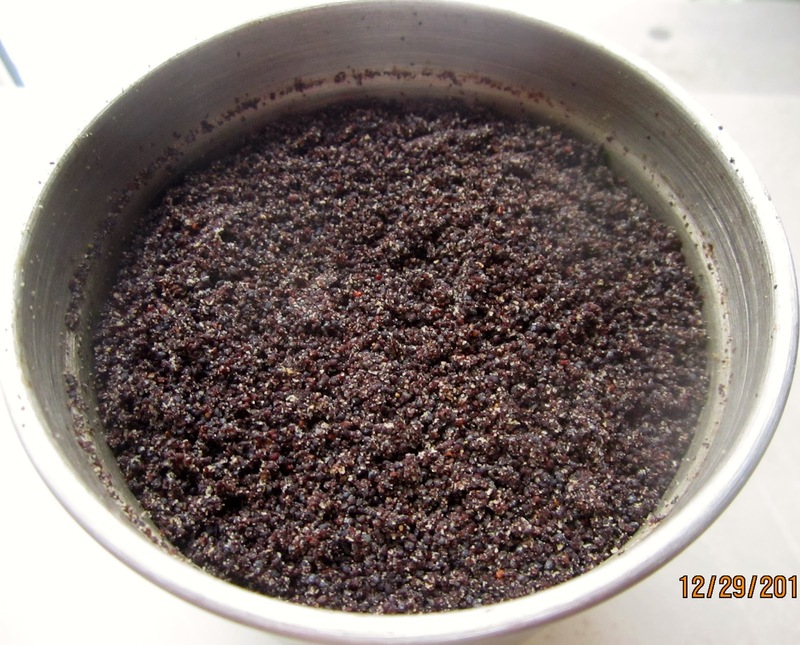 Germans use “Mohnback”, a ready-made poppy seed mix you can buy everywhere. Luckily I found a recipe for a DIY Mohnback, with almond paste, semolina flour, milk and eggs. Our Cuisinart coffee mill that we were about ready to trash – it did a miserable job with coffee beans – now got a second chance. 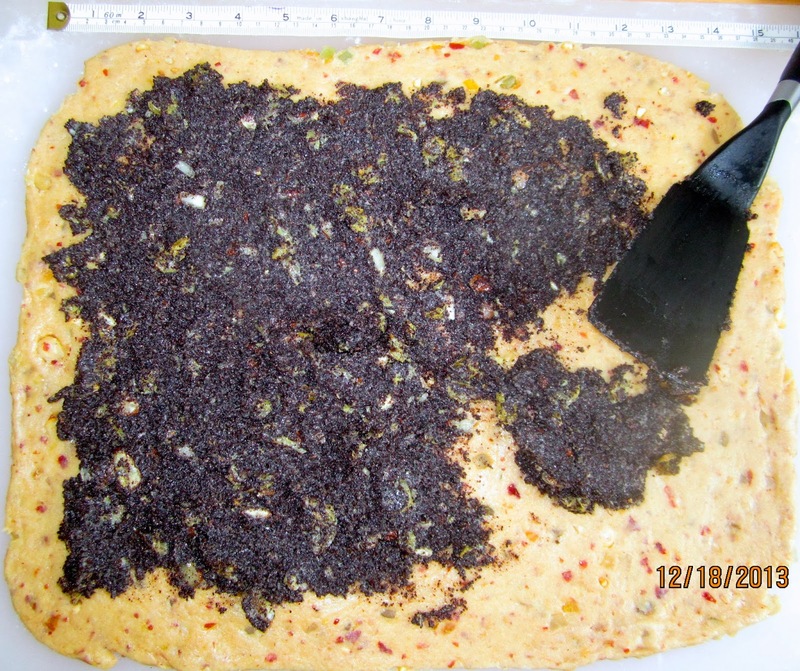 And, lo and behold, it ground the poppy seeds as if it were made for just that purpose. The Mohnstollen turned out so good that now I sell some, too – and I won’t tell my mother that mine is better than hers! For the rum fruits, chop all fruits in a food processor (or with a chef’s knife) to desired size. Transfer to a small bowl, add rum (or juice) and mix well. For the sponge, stir together flour, yeast and lukewarm milk until all flour is hydrated. 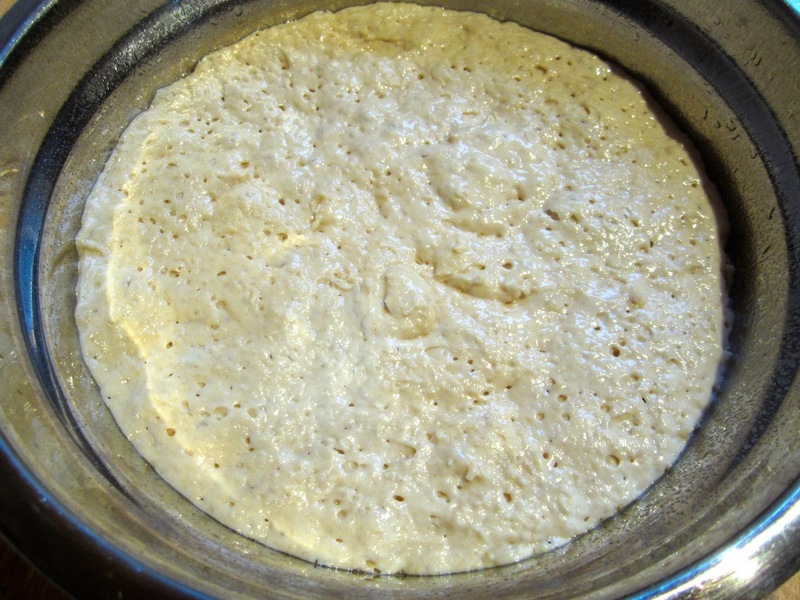 Let rise at room temperature, until foamy and just ready to collapse. The sponge is bubbly and about ready to collapse – just right! For the filling, bring milk to a boil in a small sauce pan. Remove from heat and stir in semolina flour.Add poppy seeds, honey, salt, egg yolk, raisins and almond slices. Mix well. Add almond paste and combine. Cover and keep cool until using. Place sponge, flours, honey, salt, milk, vanilla extract, butter and almond paste in bowl of stand mixer (paddle attachment), and mix at low speed (or mix by hand). Add hazelnuts and rum fruits, and continue mixing until everything comes together. Switch to medium-low speed (or continue kneading by hand) and knead for 4 minutes. Let dough rest for 5 minute, then resume kneading for another 1 minute. 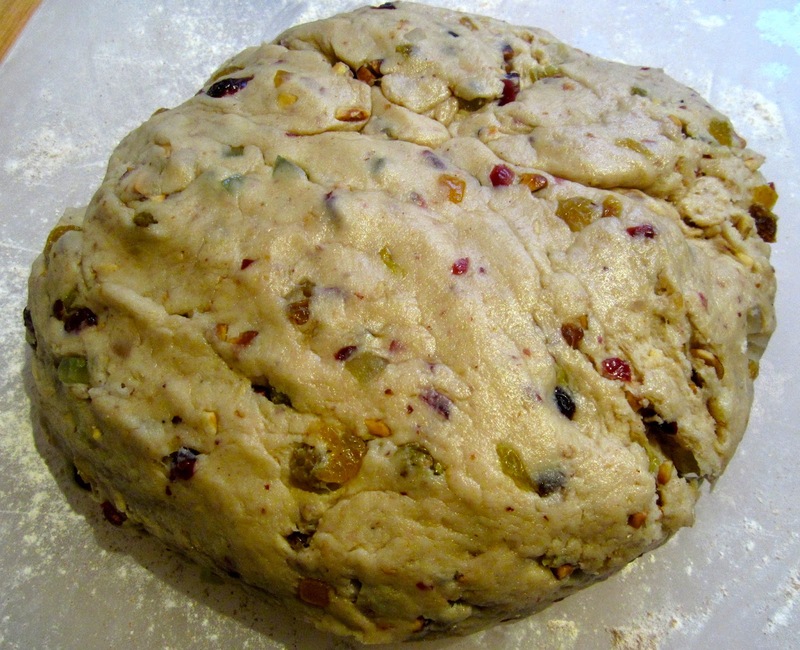 Place dough ball in oiled container with lid, and refrigerate overnight. 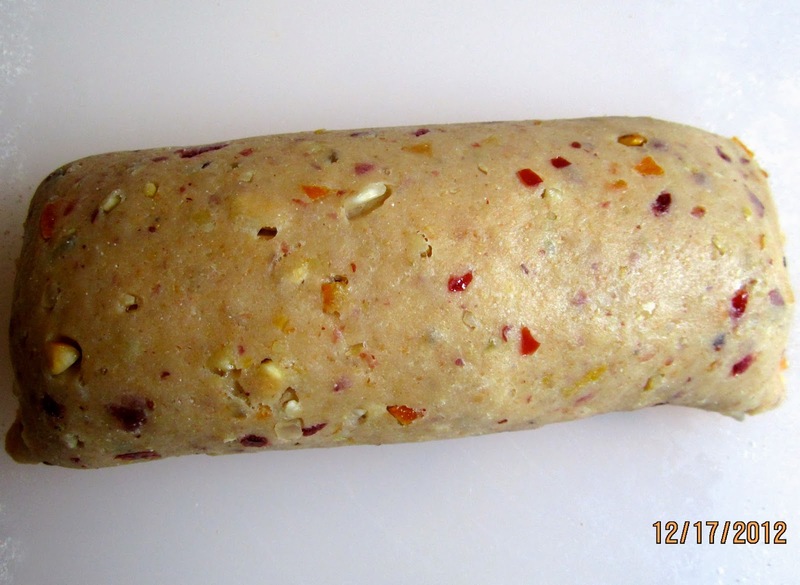 Remove dough from refrigerator at least 2 hours before using, to come to room temperature. 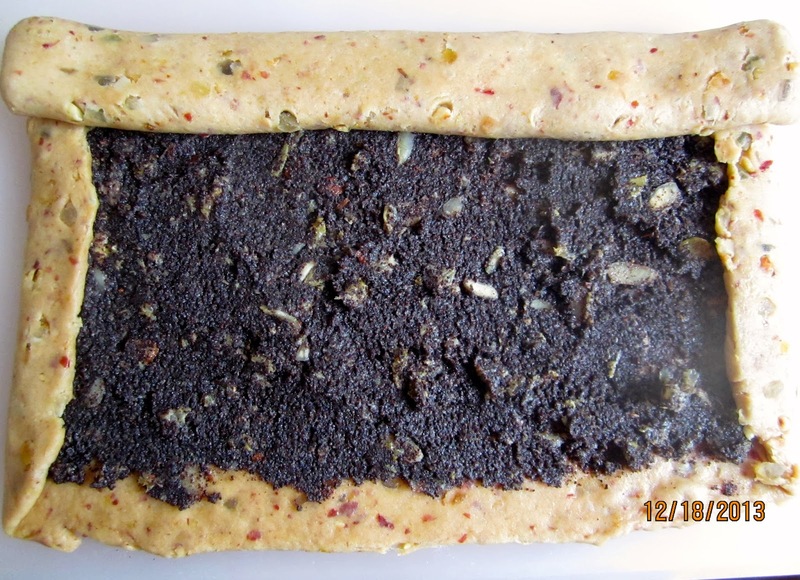 Using a spatula, spread poppy seed filling evenly over dough square(s), leaving the edges free (1/2 inch). Fold short sides in, then loosely roll up from long side. Place stollen, seam side down, on parchment lined baking sheet. Bake large stollen for about 60 – 70 minutes (smaller ones: 45 – 50 minutes), rotating them 180 degrees after half the baking time, for even browning. They should be golden brown and register at least 195ºF/90ºC on an instant read thermometer. Brush with melted butter while still hot. Dust generously with powdered sugar. Repeat this procedure once again. This sugar coating doesn’t only protect the stollen from drying out – it also covers a lot of sins, like cracks or blemishes in the crust! Keep stollen cool, wrapped in aluminum foil. It takes a day or two to develop its full flavor. Mohnstollen keeps for at least 2 weeks. 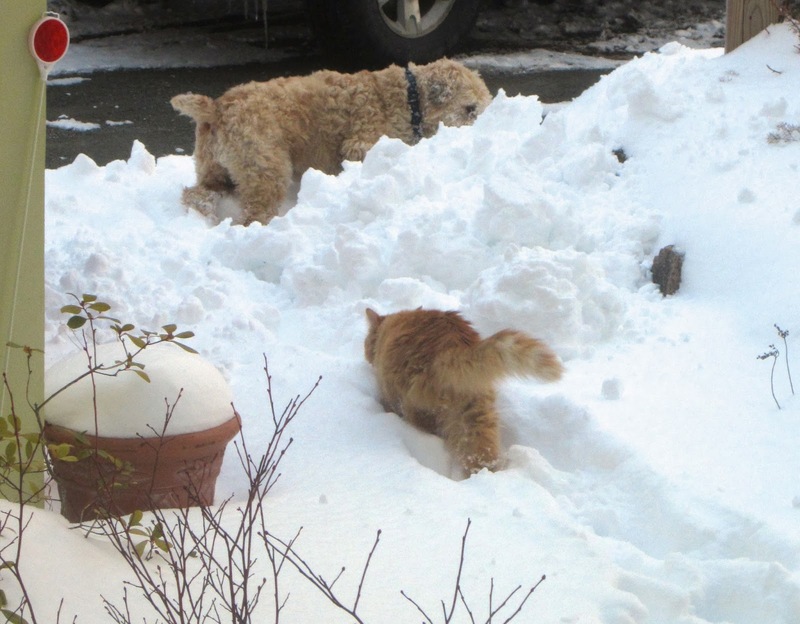 Two who are happy about the snow – and don’t have to shovel! 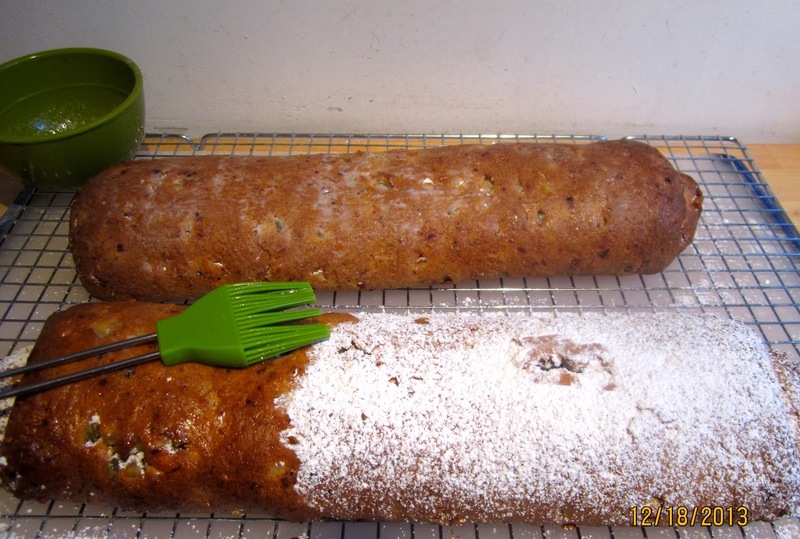 Very different from mine, more stollen-like…. and I bet it tastes fabulous! PS- Mohnback I never would use! G'day! 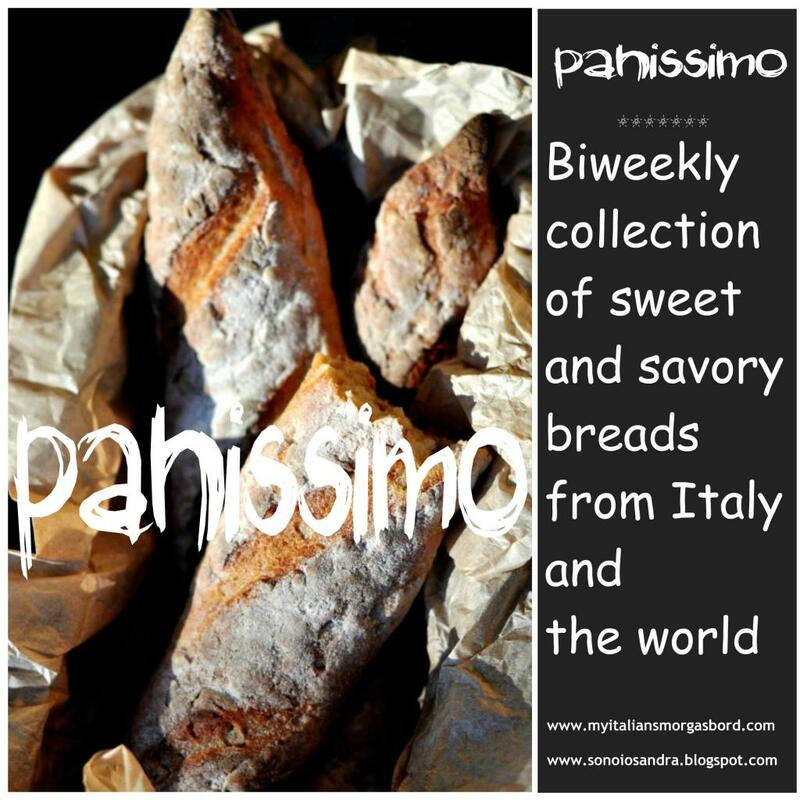 I LOVE your recipe and photo, true! This is DEFINITELY on my list to do! It does taste great, and, after making my own for the first time, I wouldn't use ready-made Mohnback anymore, either. I'm sure you will like it, Joanne, I prefer Mohnstollen to regular Stollen, it is much moister, and I love poppy seed, anyway. I like Dredner Stollen, too, and I make a whole wheat version which is pretty good, but if I have to choose, I prefer Mohnstollen. And some Niederegger Marzipan on the side! Ich zerkleinere die Früchte oft auch mit dem Food Processor, weil ich auch nicht so gern auf Orangeat oder Zitronat beisse. Hübscher sieht es alllerdings aus, wenn man die bunten Stückchen im Teig sehen kann. 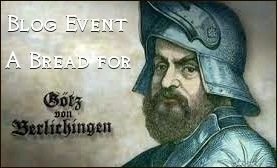 Dir auch einen Guten Rutsch, Ulrike!